We have arrived at DragonCon. We’re in the exhibit hall – be sure and stop by to pick up those buildings and/or figures that you know you must have! It’s also a great time to make a purchase as we have several show specials (can’t tell them here). Busy busy week – DragonCon this weekend! It’s a busy week for us. We will be attending DragonCon in downtown Atlanta this weekend (AUG 30th to SEP 3rd). Stop by our booth in the Exhibitor hall and check out the new Miniature Building Authority Items, Direct items and our Show Specials. We’ve updated our catalog with the latest product information. Click the image above to access the pdf file. We’re on Pinterest now, so be sure to check us out. We’re switching to a new service for sending out emails to our customers. This will allow us to include pictures and have our emails formatted nicer (yay). As we are transitioning our email database to this other program you will receive an email asking if you wish to receive emails from us and it will require you to click on a link to verify that you do indeed want our emails. It’s legit, please click on the link to receive our messages. 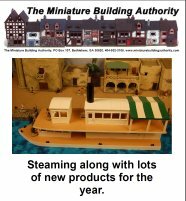 Should you have deleted the email (thinking it was phishing) you can simply go to our website www.miniaturebuildingauthority.com and use the link on the RIGHT side of the page to sign up for our new email service.